Thank you for looking at SCH Home and Outdoor Improvements. We are a small and newly developed company that comes highly recommended. We specialize in basement and cellar conversions aswell as paving, patios, garden walls, driveways, decking and fencing. I, Steve, the sole owner of the company, have over 15 years’ experience in building, pointing, block paving, renovations and much more. 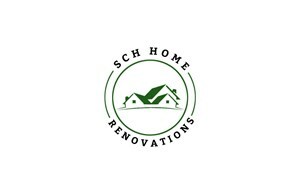 I have a well experienced team who can tackle any new projects or renovations. We have built a large client base of both Domestic and Commercial properties who are all extremely happy with the work that has been completed. Our team consists of very highly skilled, qualified and insured tradesmen who have experience of their own in many areas ranging from small property maintenance to complete refurbishments. We are friendly honest, reliable and complete all jobs to a high quality on time. For a free quote, or to discuss some ideas please give me a call 07515548016. South West London, South East London, North London, Outskirts of London.